Stephen Strasburg signs a 7yr, $175M extension to stay with the team, as broken last night by the Washington Post’s Chelsea James. Wow. Did not see this coming. 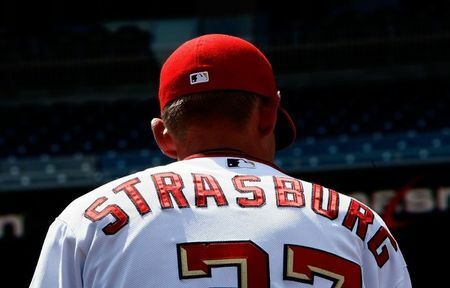 I never thought this team would re-sign Strasburg frankly, because I thought there’d be a feeding frenzy when he hit free agency this coming off-season. Strasburg’s representation (Scott Boras) is not exactly known for having his players sign extensions. The 2016-17 free agent market for starters was so bare that Strasburg likely would have inspired a bidding war and you have to think Strasburg just left a bunch of money on the table. The next best starter hitting free agency next off-season now might be Rich Hill. Rich Frigging Hill, as in the guy the Nats had on a MLFA deal last summer and cut him loose so he could go re-make his career out of the Oakland bullpen. 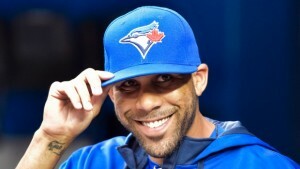 David Price: 7yrs/$217M starting in 2016. Jon Lester: 6yrs/$155M starting in 2015. So, this is the selection of contracts to compare this Strasburg deal to. 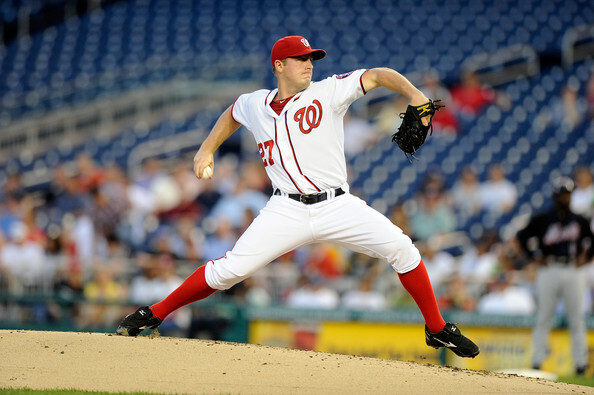 Other big deals signed last off-season include Johnny Cueto (6yrs/$130M) and Jordan Zimmermann (5yrs/$110M). There’s already a bunch of hot takes; some like the deal, some think its a mistake. On the one hand, Yes, pretty much any big long term free agent deal eventually looks like a stinker, so in that respect you can be a cynic and say that every long term FA contract is a mistake. But that’s just not a realistic way to look at team building in this modern era. Unless you’re willing to completely punt on your season for several years running (see Chicago Cubs, see Houston Astros, see the Atlanta Braves right now, even look at what our own Nats did for two seasons so they could acquire both Strasburg and Harper in the draft), then keeping your team consistently in the upper division requires spending on the FA market to paper over what your farm system may not be developing. But looking at (specifically) the Cueto and Lester deals … I can’t help but think that the Nats got a steal here. Who would you rather have, Cueto for 6/$130M or Strasburg for 7/$175? Same question for Lester. Strasburg, to me, is a better pitcher (a far better pitcher) and they got him for basically the same AAV as those guys. Would you rather have Strasburg for $25M AAV or Price at $31M AAV? Honestly? Give me Strasburg and I can use that $6M to buy more bullpen guys. I know Strasburg has his detractors out there, people who with a straight face don’t think he’s an “Ace” or one of the best 10-15 arms in this league; you people are fools. Look at nearly any metric you want over the last 3-4 years and you’ll find that Strasburg is in the top 10-15 league wide. Here’s a helpful link to fangraphs individual pitcher stats from 2012-now; in this time frame Strasburg is (among qualified starters): 13th in fWAR, 13th in ERA, 9th in FIP, 2nd in xFIP, 9th in SIERA, 4th in K/9, 11th in K/BB, 5th in FB velocity, 20th in wFA, 7th in wCU, 6th in wCH. That’s pretty rare air to be that high up in so many different categories spanning the various statistical ways to measure pitching these days. He’s not Clayton Kershaw … who is? Scherzer, Strasburg, Giolito, Ross, and Gio Gonzalez or Tanner Roark. Yeah; that could be pretty frigging good. Zimmermann will get a QO: who else? Photo Unk. We’ve talked around and about this issue. Here’s a post entirely about it. Which Nats pending Free Agents should the team offer a Qualifying Offer (QO) to this coming off-season? So, lets just get this out of the way; we’re not talking about Uggla, McLouth, Janssen, Thornton or Johnson here. Maybe the team could think about re-signing some of these guys to non-guaranteed/minor league deals, or negotiate an extension for one of the relievers. I wouldn’t be entirely against that (especially for Thornton, who has been pretty durn good both in general (2.43 ERA on the year even if he got hit hard a couple times in August) and against lefties in particular (.203 BAA against lefties on the year), but this post is about the 4 big names. Important links for this analysis: Here’s the total 2016 FA list at mlbtraderumors.com and their take on the 2016 FA power rankings. We won’t know what the QO amount is until mid-October, but we can estimate that it will likely be somewhere around $16.3M. Here’s my Qualifying Offer worksheet, listing every player who has gotten one and their eventual signed contract details with Average Annual Values (AAVs) listed. By the way, here’s some salient points ignored for the purposes of this post, but which could make this post obsolete. I’m assuming that all pending FA players are acting rationally and in their own interest, and not working in concert with the players union and en masse turning down the qualifying offers. So far, evidence shows this point may not be the case, as we’ve seen several players who inexplicably turned down QOs in the past. The most blatant examples were Michael Cuddyer in 2014 and Kendrys Morales in 2013. Cuddyer in particular was curious mostly for the timing; he signed a 2yr/$21M deal even before officially rejecting the 1yr/$15.3M qualifying offer, and it is hard not to make the argument that Cuddyer would have been much better suited to just taking the one-year deal for what was nearly the entire sum of the two year deal he eventually took. I have no idea if Cuddyer just desperately wanted out of Colorado, which could be true … but then his destination didn’t support that argument either (prior to the season, the Mets were projected to be just another also-ran in the NL East; nobody predicted their run to 90 wins). I’m assuming that Mike Rizzo hasn’t already made a “hand shake” deal with any of these players to specifically NOT offer the QO, since it can be such a huge damper on their eventual FA market. We have argued this conspiracy theory before, with lack of QOs to both Adam LaRoche but especially Edwin Jackson being examples of players who may have had a gentlemen’s agreement prior to departing the franchise. Lets take these guys one by one. Zimmermann: he’s a member of the likely “big 4” of FA starting pitchers to be available this off-season (also including David Price, Johnny Cueto and presumably Zack Greinke if/when he opts out of his existing deal). Given Cueto’s issues at the end of 2015, I’d likely put Zimmermann as the third most valuable starter available. And he’ll have no shortage of suitors. 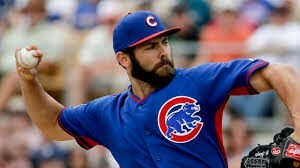 We know he spurned signing a longer term deal on two different occasions (first when they negotiated his 2-year arbitration-buyout deal and then again last off-season) and the rumors are that the Nationals management/Rizzo are hesitant to commit major dollars to a post-Tommy John survivor. He seems likely to sign a nine-figure deal somewhere, easily outdistancing the AAV of the QO. Verdict: Offer the QO, he’ll reject it and signs elsewhere for more money than the Nats are willing to commit. Desmond: he’s *easily* the best middle infielder on the FA market, a good combination of offense and defense whose best season was in 2012 but has three straight Silver Sluggers and sort of rebounded towards the end of his otherwise dismal 2015. I agree with other analysts; he likely was a fool to turn down $107m as has been widely reported, and will be lucky to get 60% of that in the FA market. I’m guessing he gets a four year deal with an AAV of $18M or so. 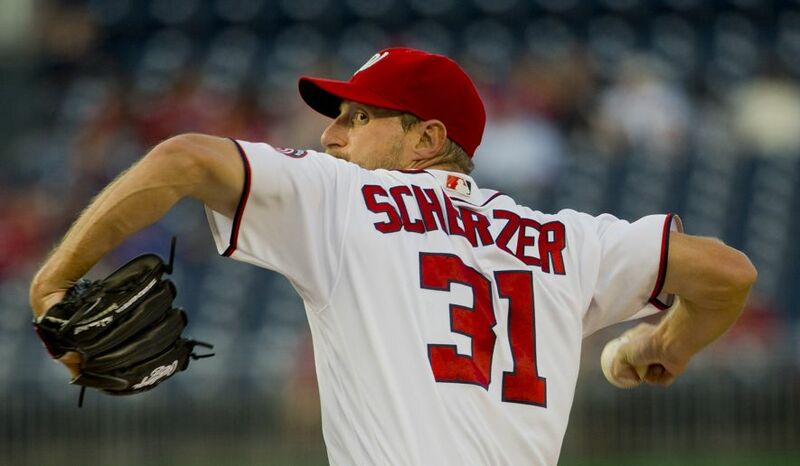 Verdict: Offer the QO, he’ll reject it and signs elsewhere because that’s kind of the corner he’s painted himself into, and the Nats have their ready-made replacement for him in Trea Turner. Those two were obvious. These next two are not. Span: Another guy who picked a really bad year to miss 2/3rds of the season. Span’s 2015 numbers are exactly in line with his excellent 2014 numbers, a point that his agent will be making this off-season. His injuries however could give teams pause. He had “core” surgery in the spring, recurring back issues in the summer and then a torn Hip labrum in August that put him out for good. Would you want to risk signing a 31yr old center fielder who just had hip surgery? A good question. Span does have competition in the CF free agency market, with decent players like Dexter Fowler, Colby Rasmus and Austin Jackson in the space. The interesting tidbit that just popped up though is Span’s announcing that he’s switched agents and is now with the Scott Boras Corporation. Boras is Mr. Free Agency, and has gleefully advised several prior clients to decline QOs and go head long into free agency only to watch them flounder (see Kyle Lohse, Stephen Drew and the aforementioned Morales as examples of players under Boras advisement who declined QOs in seemingly ill-conceived decisions). 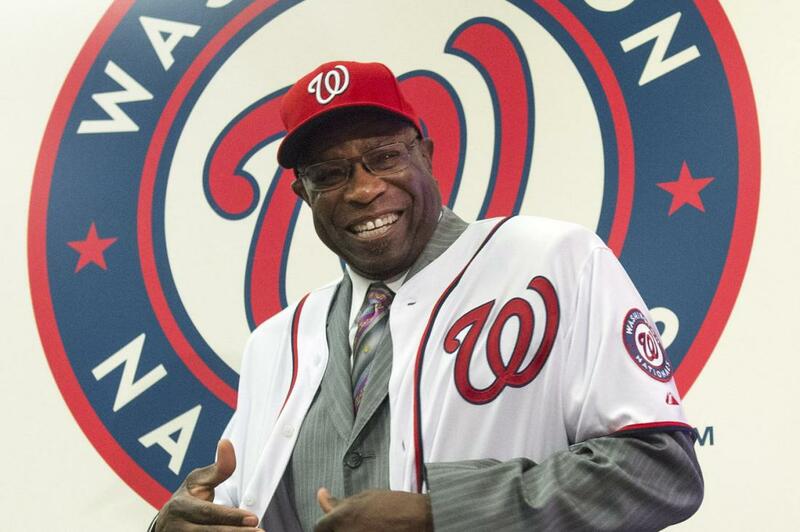 Why did Span just switch to the super-agent Boras unless he needed someone to go out and drum up a good offer? I think this is evidence enough that he’ll decline the QO and test the market. And, even if Span accepts the QO (which I don’t think he would), he’d be competing with Michael Taylor for the starting CF job … on a team where our starting OF missed hundreds of games in 2015 and where the presumed 4th OF got 500+ at-bats this year. So having Span around (who, by the way, hits lefty on a team that desperately needs lefty-hitting players) wouldn’t be the end of the world if he accepted the offer. Verdict: Offer the QO, Boras will tell him to decline it anyway and the Nats will get an additional comp pick. Fister: Prior to 2015, Fister was one of the more under-rated starters in the league and seemed like a safe bet to sign one of these 5yr/$65M deals that we see all the time. Believe it or not, Fister ranked 17th in the league in fWAR among starters for the combined seasons 2011-2014. 17th! That’s better than the likes of Cueto, Darvish, Strasburg, and a whole host of “better” pitchers. Unfortunately, he chose his walk year to fall off a cliff, with his average fastball velocity (which has already been trending down for 4 seasons) falling more than a MPH and a half just this year. 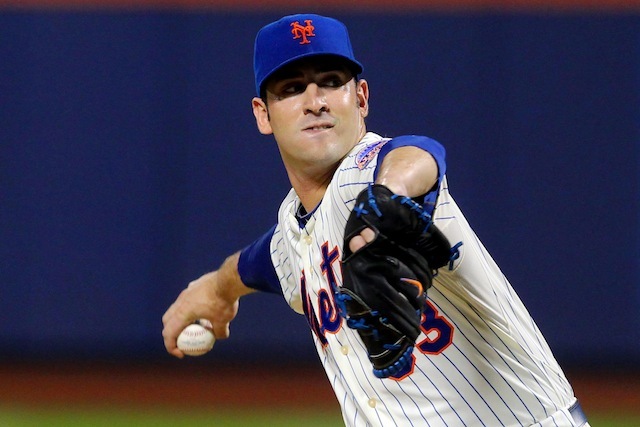 He was ineffective in the rotation and was removed, and has been pitching out of the bullpen for weeks. He’s making $11.4M this year but it seems like he’s going to be lucky to get a 1yr $8M deal now from a team willing to give him a shot at the back of their rotation. If the Nats were to offer him a QO and he took it, he’d likely be the leagues most expensive long-man (now that Tim Lincecum is out of contract that is) and/or he’d block a spot that really needs to go to either Joe Ross or Tanner Roark. I just don’t see how the team can risk extending one. Verdict: No QO, and Fister tries to find a pillow contract with a team like Oakland or San Diego where he can likely put up decent numbers. So, that’s my thinking. Nats make three QOs, cut ties with everyone, replace internally across the board like they were always planning to, and net a slew of extra supplemental first rounders in a 2016 draft that is significantly deeper than this year’s. Sounds good to me.